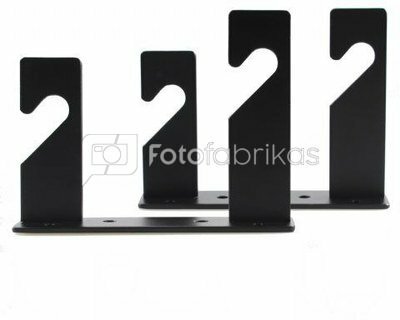 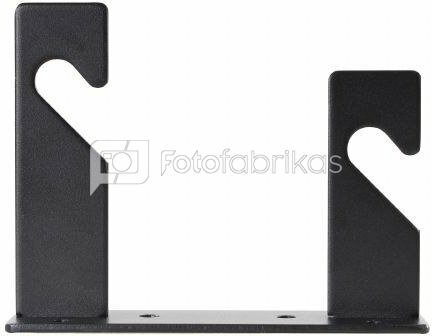 The StudioKing MC-1017A Background Support Bracket consists of a set of hooks, which can easily be fixed to a wall with the 4 large key bolts supplied. 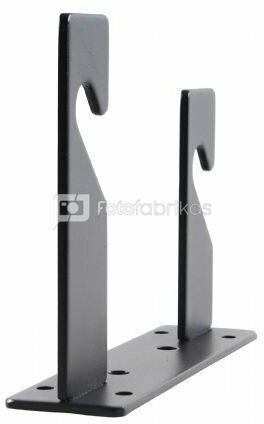 On these hooks you can attach up to two B-reels or ES-1 sets, enabling you to hang your paper, vinyl or cloth backgrounds. The brackets can be attached either to the wall or on the ceiling.